Join us on Tuesday, March 20th for a Show and Tell event in Rome! This will be an open discussion. Please bring an article or blog post on any tech, design, or lifestyle subject that is of interest to you. 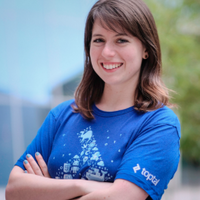 The event will be a great opportunity to meet Asia, the Europe Community Lead at Toptal, as well as fellow Toptalers. If you’re not yet familiar with Toptal, this is the perfect chance to learn more about it. The event will start at 7:00pm at Ai Tre Scalini. Please RSVP on this page to give us an accurate head count. For questions regarding this event, please contact the event organizer, Asia Lindsay.